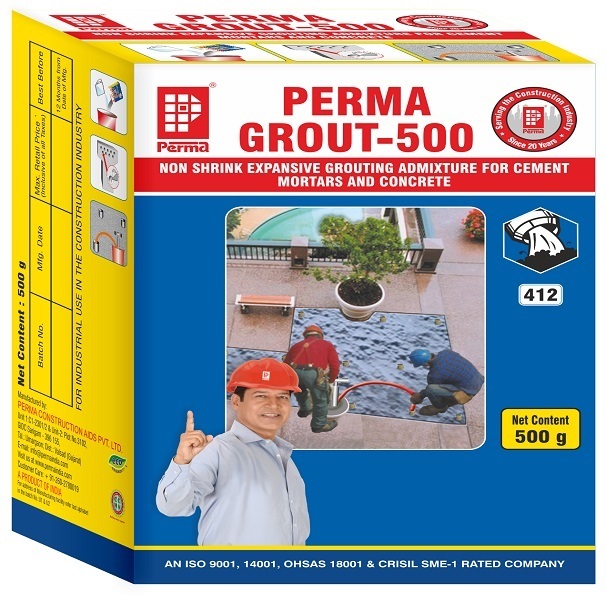 Perma Grout - 500 is a fine free flowing grey powder with a wide range of grouting applications, mainly to produce expansive grouting slurries, mortars and concrete. Perma Grout - 500 is and a mixture for grouting Cement slurries, grouting mortars and non shrink concrete. Perma Grout- 500 is a free flowing grey powder especially designed for cable duct grouting In post tensioned bridge grinders. Injection grouting of porous concrete In structural rehabilitation work sand in in fill mortars in filling and sealing cut outs, recesses and foundation pockets.